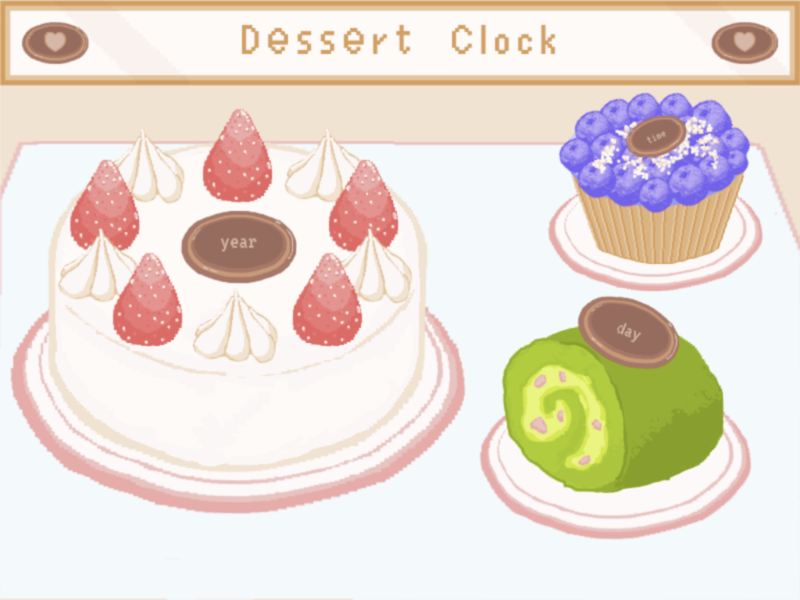 A door that opens when clicked, revealing the dessert clock. 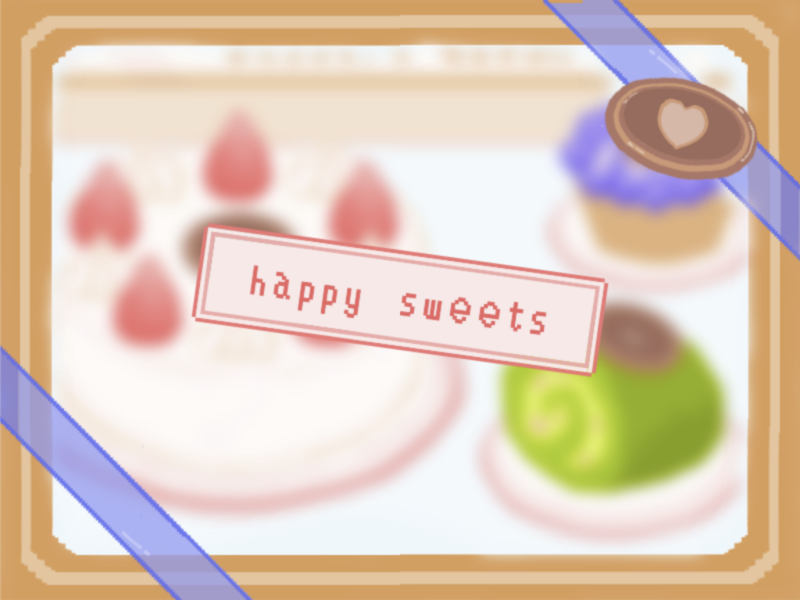 The full page of my dessert clock. 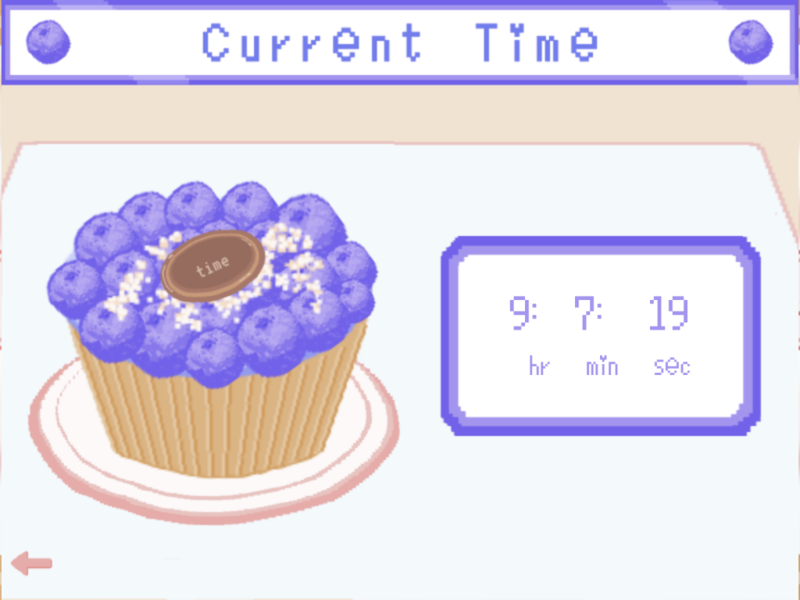 A blueberry tart displays the current time. 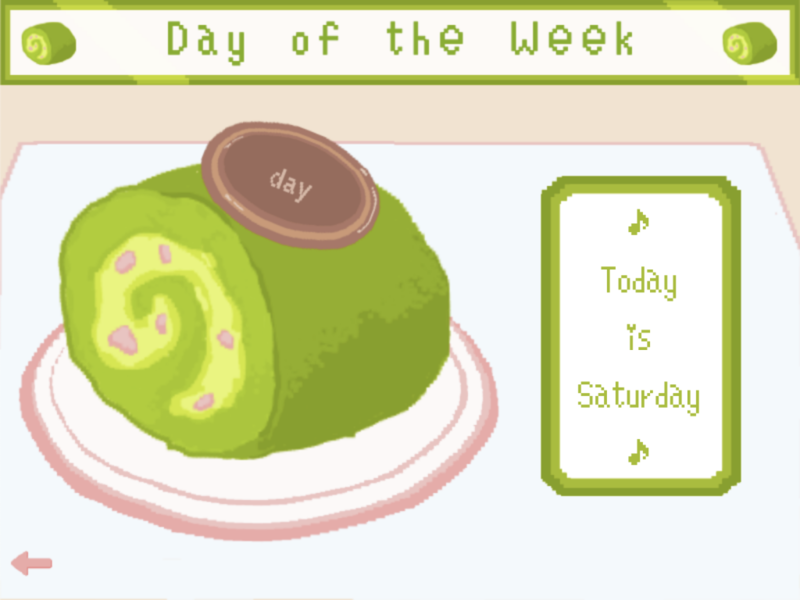 A matcha roll cake displays the day of the week. 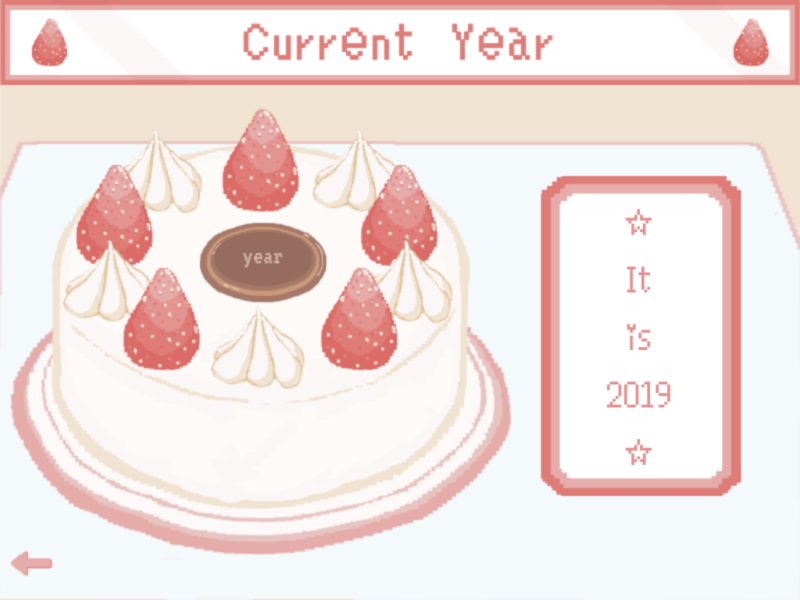 A strawberry shortcake displays the current year.